We are closing this out finial/full payment due February 1, 2018. Up to 19 Dives Per Week. If you enjoy great diving, adventure, and sailing then don't miss this trip. 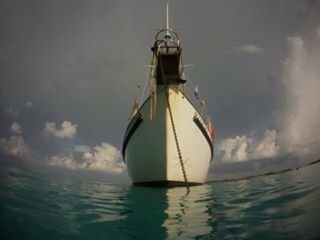 Blackbeard's Cruise sails the Exumas Islands of the Bahamas at some of the top Caribbean dive sites. Dive the Bahamas' Blue Hole, wrecks, walls, and spectacular specialty dives like the shark dive and The Washing Machine. Dormitory style accommodations, meals, drinks (including beer and rum punch), and diving included. Port fees ($115), crew tips, airfare NOT included. Passport required.